“Make good things together” was the first thing flashing on the screens in Google I/O 2018 developer conference. 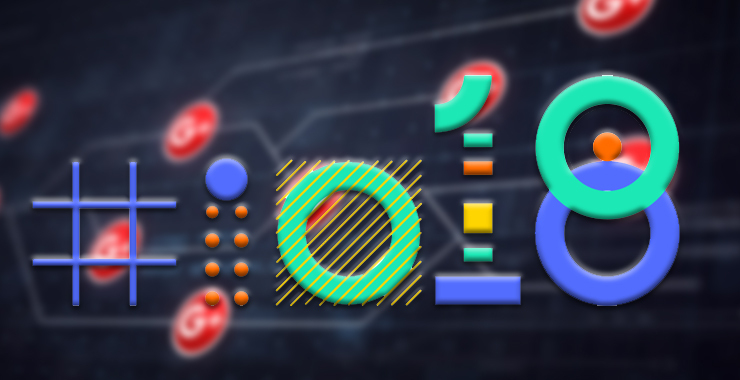 Google I/O 2018 developer conference being the biggest event of the year kicked the things off with the jam-packed news. In spite of tight competition, Google has set its sight on becoming the world’s biggest artificial intelligence company, and CEO Sundar Pichai proved that in the conference. He outlined its idea about the software plans in the coming year and aspects of Artificial Intelligence included in it. During its I/O’s keynote, Google demonstrated the subsequent version of its Android operating system, talked about the revamped Google’s news and added features of personal assistant to it. Moreover, the company focused on making development easy and fast, helping developers to increase engagement and building the apps smaller in size. ML Kit brings Google machine learning expertise to mobile developers in a powerful and easy to use package. It consist of API that will help Android developers to include image labeling, text recognition, face detection, barcode scanning, landmark detection and many more. The best thing is, it is available on both online and offline platform and can be accessed in real-time. Developers can use API with little prior knowledge of machine learning and can be used on both iOS and Android platform. Google introduced Android app bundle that makes app radically smaller. It enables users to install app quickly and save space on their device by downloading code and resources required to run your app. A developer can put everything needed for an app to run on multiple architectures and in multiple languages into the console and create bundles that contain only the files particular for user needs. Koltin is improving and in this conference, it majorly focused on further enhancements. It has a collection of modules which contains extensions that optimizes Android platform. Tooling continues to improve with Android Studio, Lint support, R8 optimizations and Android runtime in Android P to build app faster. Using these extensions, developers can make minor improvements in the code. Koltin code snippet is available in the official documentation which is a great resource for the developers who are new to the Koltin. Slices enable the user to interact with the apps that are already installed and provide users with a mini snippet of an app when searched in Google search and Google Assistant. Google has developed a new API that enables to place snippet of the installed apps in Google search, Notification bar etc. This helps the users to get something done quickly and easily. For instance, if a user types “I want to book a ride” in a search box, they will see the mini version of the app over there without having to open main app. Android P will also bring some new APIs which will let developers to know how long the app is in use and how it’s used and can also advice to put the phone down if it is a long time in use. On Android P, device manufacturers will implement things like iris scanning through secure elements on the hardware easily. Moreover, UI elements, notifications and assistants will look extravagant on Android P.
This new service in Google assistant just got better and convenient for the users. It aims to become completely realistic and simple for new and old Android users. Google added new features to the Google photos many of which are based on Artificial intelligence. App will enable users to do things like colorize old black-white photos, fix the brightness of under-exposed photos and “pop color”, which colors the subject of the photo and sets the background to grayscale. Moreover, app will also recognize when users are in the photos and will enable quick sharing with the tap of a button. Google is putting emphasis on the artificial intelligence for the new version of Google news. When app is opened, the user will see new headlines, local news and more and would offer a “full coverage” section that will allow the user to see multiple stories from different sources. Users will be able to subscribe to content in an easier way without having to put credit card information. Gmail will be able to write emails for the users with only a few keystrokes. It will have a Smart Compose feature and would recommend phrases for the users when they start typing them, pulling from huge emailing history. The feature will operate in the background and when user types, grayed-out pops up will be recommended; the user needs to hit the tab button and suggestion will become a part of your mail. Google I/O 2018, is all about Digital Wellbeing! Understanding the user preferences, Google focused on machine learning algorithms to do day-to-day tasks. App development ecosystem will become flexible, adaptive and quick; however, mobile app development companies need to pace up with the evolving technologies for adapting the changes being made in the technology front.